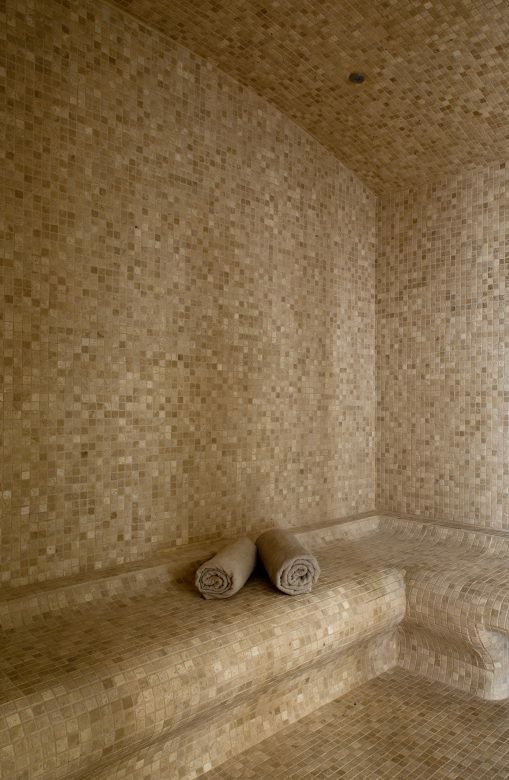 Spa of the Sablettes – Come to rediscover the definition of relaxation and well-being. Here, our skilled and attentive team will make you travel into an exceptional moment. 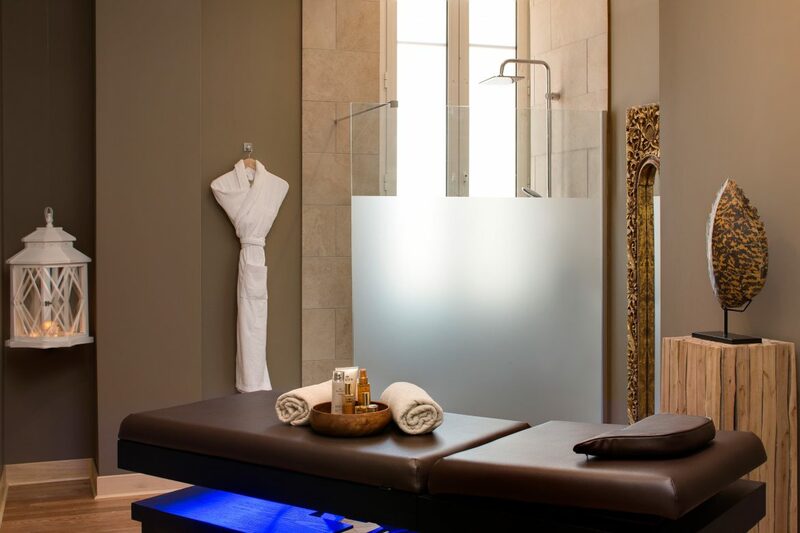 Our three treatment rooms (single or double) are entirely dedicated to beauty and relaxation. With NUXE, we ensure emotions and sensations, all products used are natural and environmentally friendly. 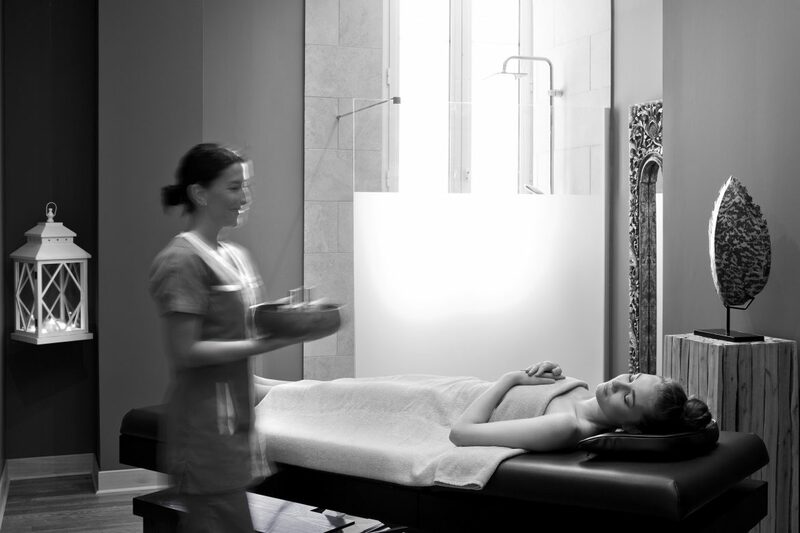 You will experiment all the NUXE Massages®, facial treatments and emblematic bodies of the brand NUXE. 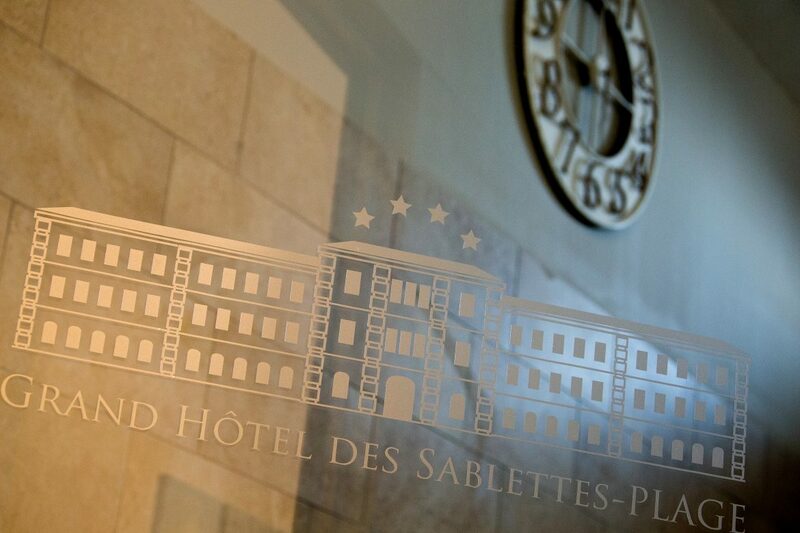 Access to the humid area of ​​the Spa des Sablettes is exclusively reserved for adults. Your children aged up to 12 years are welcome every day from 10:00 to 12:00 under your supervision. Here, everything is done to make you spend an exclusive moment in a peaceful way. This enchanting bracket offers you everything you need for a privileged rest. 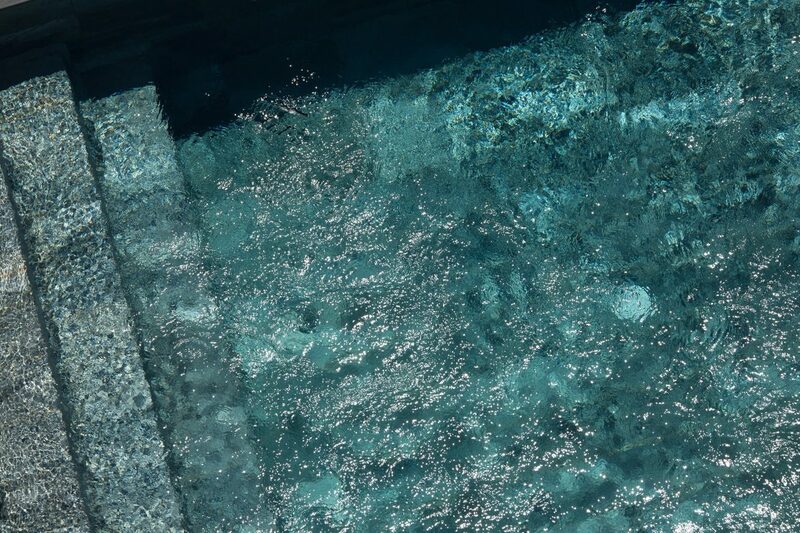 Relax by the indoor (all year) or outdoor (seasonal) pool. 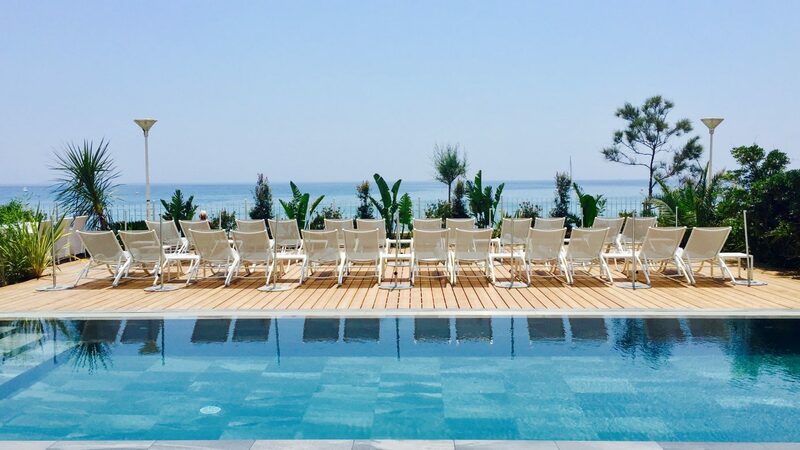 On our terrace of 200m2, enjoy the sun and a spectacular sea view and let yourself be rocked by the sound of the waves. 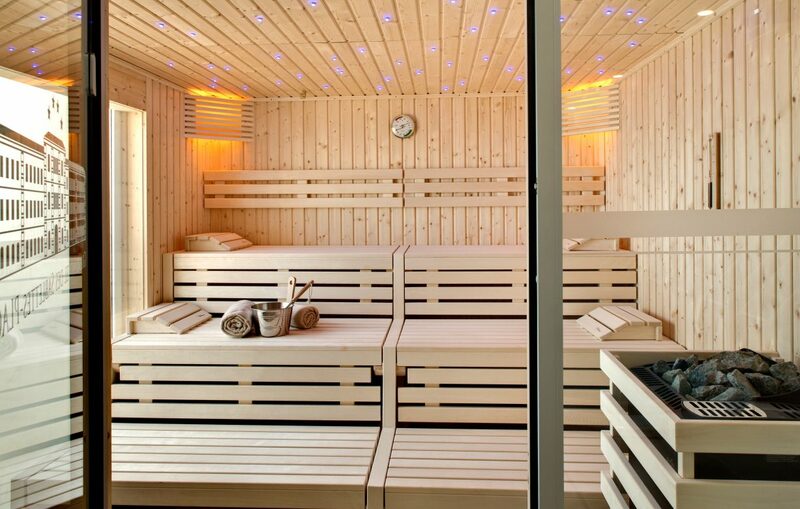 For moments of exception, this space also offers a hot tub, a steam room, a sauna and a tea room. Your membership for 3 months, 6 months or for the whole year with the first hotel Curio-A Collection by Hilton in France. 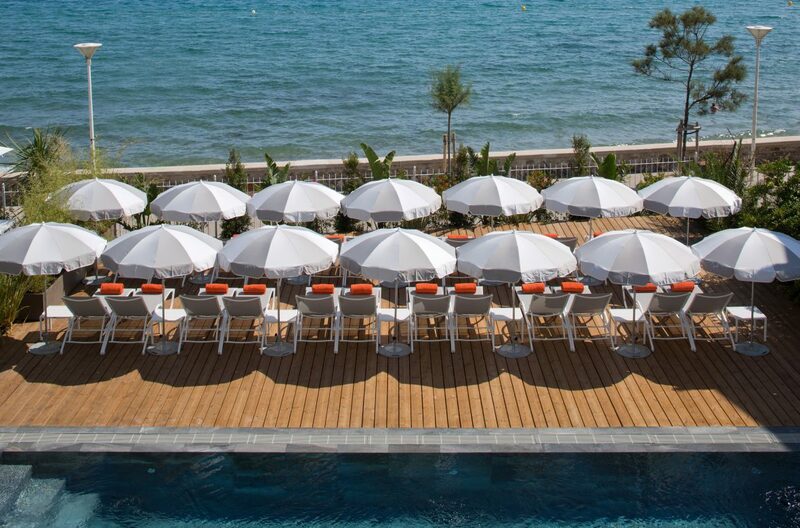 Enjoy the Spa des Sablettes NUXE, the first NUXE Spa on the French Riviera. Launch very soon, stay informed! Our fitness offers the cutting edge of technology with our equipment to enhance your performance during your sport sessions. 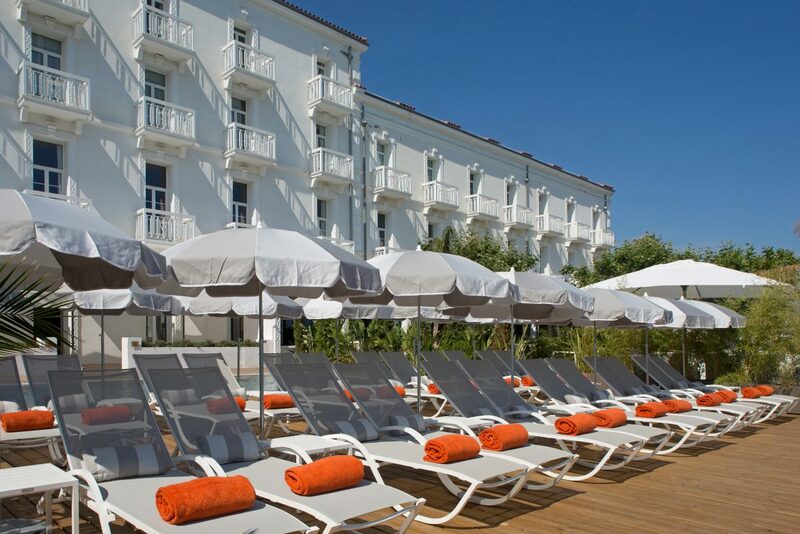 The Grand Hotel des Sablettes-Plage offers direct access to the Promenade Jean Charcot. Our private beach is located 1 minute away by feet from the hotel on the iconic Sablettes Bay. Facing the blue “Azur” of the Mediterranean sea, time seems to have stopped. 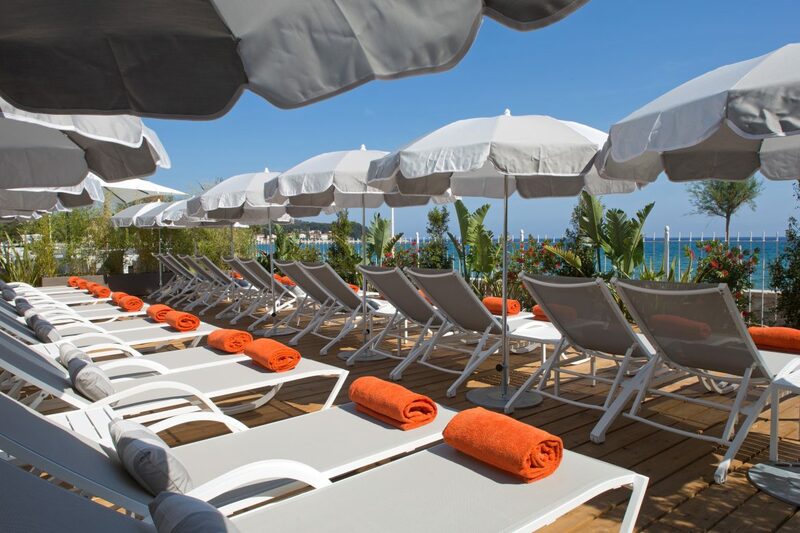 Enjoy the sun, the sand and the freshness of the sea while relaxing in the shade on our mattresses.